Grooming is extremely important for your pet. There are many benefits to what grooming does for your pet. Firstly, it helps get rid of dirt that may have built up on your pets fur. 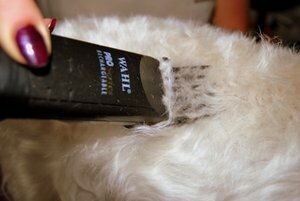 Secondly, Happy Grooming remove matted and tangled fur from your pet: this also prevents matts from coming up in the future. Thirdly, your pet will feel much better after a groom; they will be able to see better when the hair is trimmed from their face, they will smell nice and they will feel lighter because of the hair that has been taken off! Plus your pet will look really cute and styled! At Happy Grooming, we can also provide professional styled grooms that you may see at pet shows, but overall, we will always ask the customer what kind of style they are going for, so all of our customers wishes are granted! At Happy Grooming, we clip your pets nails. Nail clipping is important because it prevents your dogs nails from splitting and scratching. Clipping your dogs nails also makes it more comfortable for them to walk, and it wont hurt them. You will also benefit from this if you get scratched a lot! 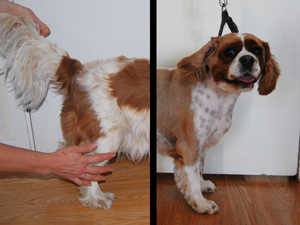 Your pets hair is very important to us and we deal with all kinds of animals. We will style the haircut to the recommended breed standards but we will also cater for individual requests. Happy Grooming will provide a professional service using top of the range grooming equipment which will result in your animal looking and feeling great. We recommend coming for grooming each 6-8 weeks after your first session. This will help keep your animal looking and feeling great. We provide a clean and comforting environment. 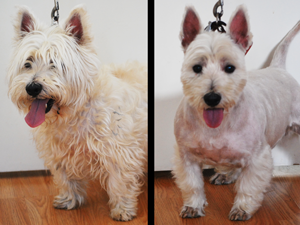 Additionally, Elena has over 25 years of experience within the animal grooming business. Trimming and hair hand stripping is a very important part of pampering for many terrier and schnauzer breeds (who do not have natural malting seasons). Dog breeds like Scottish terrier, fox terrier, Welsh terrier, Airedale terrier, canine terrier, griffon, schnauzers need this procedure every 4-5 months. So your dog will look clean and tidy, and your home will too. After grooming your pet, we wash them so they are clean! 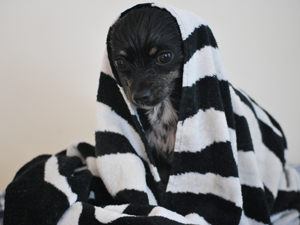 We use anti-allergy shampoo so your dog doesn't become sore or infected. Please tell us if your dog has any allergies, so we can prevent anything unusual from happening! 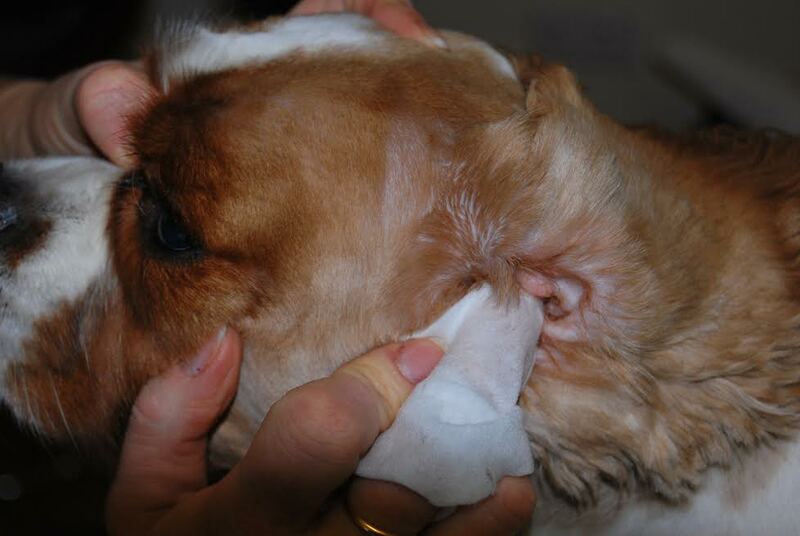 Regular ear cleaning for your dog or a cat is one of the most important aspects in basic hygiene. Why does your dog or a cat need an ear cleaning? Regular ear cleaning is essential to protect your pet from ear infections, redness, developing discharge, accumulating dust and dirt, catching ear mites and reducing your vet bills! Standard ear cleaning includes hair trimming inside of dogs/cats ears, cleaning with special soft tissues and soft cleaning solution, which helps your pet feel fresher and happier. Regular hair care for your cat is so important for their health and beauty too. Your home will be much more cleaner. What does your cat require grooming? Effects of hygiene grooming for your cat will last over 4-5 months, but it is up to your cats individual hair structure too.